NEUTROGENA® Nourishing Brow Pencil helps shape and define the look of your eyebrows. Available in a variety of shades, this eyebrow pencil is designed to blend easily for smooth application and helps creates a natural-looking matte finish. The brown brow pencil features a spoolie brush that is designed to help blend and soften any sharp, harsh lines for an effortless and natural brow look. Great for on-the-go applications and touch-ups. Brow filter shapes and defines. Designed to create a matte finish. Sharpen the tip regularly with any eye pencil sharpener. Dimethicone, Synthetic wax, Octyldodecanol, Polybutene, Cetearyl Behenate, Disteardimonium Hectorite, Sorbitan Olivate, Propylene Carbonate, Synthetic Fluorphlogopite, Synthetic Beeswax, Pentaerythrityl Tetra-di-t-butyl Hydroxyhydrocinnamate. 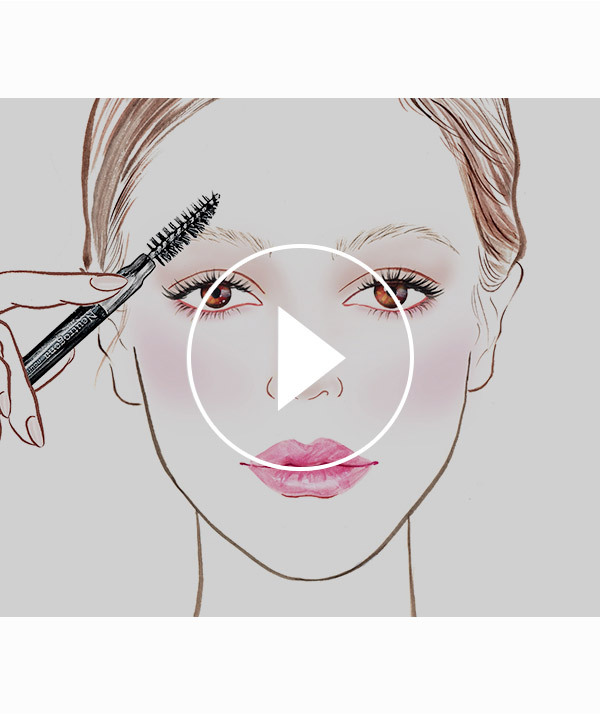 Brush brows up with spoolie brush. Place pencil along the side of your nose to find where your brows should start. Angle pencil from the outside of your nose to the outer corner of your eye to find where your brows should ideally end. The end of the brow's point should be at a 45-degree angle from the outside end of the eye. Using short strokes to mimic your natural hairs, softly fill in any sparse areas with the brow pencil. Brush brows with spoolie brush to blend out the color and soften any harsh lines.